Clothing/Jewelry Description A one-piece white outfit with black polka dots, black and pink flowers and pink shoulder straps. Distinguishing Characteristics Caucasian female. Light brown hair, blue eyes. Katherine's nicknames are Kate and Katerbugger, and many agencies refer to her as Kate Phillips. She has a cleft chin. Katherine was last seen in Ludington, Michigan on June 29, 2011. She lived with her mother, Ariel Courtland, at Birch Lake Apartments in the 900 block of east Tinkham. That day, Courtland got into an argument with her boyfriend, Sean Michael Phillips. They were sitting with in his car in front of the building, with Katherine in the backseat. Courtland stepped out of the car to go get Katherine's stroller from her apartment, and while she was gone, Sean drove away unexpectedly, taking Katherine with him. His vehicle was a silver 1998 Oldsmobile Intrigue with the Michigan license plate number BUY0298. Photos of Sean, Courtland and the car are posted with this case summary. Courtland repeatedly called Sean's cellular phone when she realized he was gone, but he never answered. Once she realized he'd deliberately taken Katherine and wasn't coming back, she called 911 and the police began looking for them. Sean was arrested a few hours later at the home he shared with his parents in the 200 block of Millerton Road in Scottville, Michigan and charged with kidnapping. His vehicle was also recovered. Katherine's car seat and diaper bag were in the trunk, and Sean had her clothes in his pocket. But the baby wasn't with him, however, and he refused to say where she was. He initially claimed he'd left the baby with Courtland. Sean was a soldier with the Army National Guard and was scheduled to be deployed to Afghanistan in August 2011; he was reportedly very stressed over his pending deployment and other issues in his life. 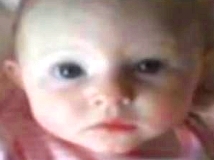 He is the father of Courtland's older daughter and was presumed to be Katherine's father as well, but his paternity hadn't been proven in court by the time of her abduction. Sean didn't feel he could afford to support two children, and he also didn't want to tell his parents he had fathered another child. Courtland had set up a June 29 appointment at a DNA laboratory for Sean to take a paternity test, which she planned to show to his parents. But instead of going to the lab, Sean drove himself, Katherine and Courtland to to the office of the Mason County Department of Human Services and tried to place Katherine for adoption. He and Courtland had been considering this option for some time and had partially filled out the paperwork for it, but she ultimately refused to consent to it and they drove back to her apartment. This was what they were arguing about when Sean abducted Katherine. Courtland passed a polygraph regarding her daughter's abduction and isn't considered a suspect. She repeatedly visited Sean in jail after his arrest and gave him money. She stated she was trying to stay on friendly terms with him so he would tell her where Katherine was, but the only thing he would say was that the baby was still alive. Courtland stated she and Sean argued often, and that once he threatened to take their older daughter away from her if she didn't agree to place Katherine for adoption. She stated she thought Sean was a good father, however, and she had never suspected he might harm Katherine. Authorities launched an extensive search of the area between Courtland's apartment and Sean's parents' home; the two residences are about six miles apart. There were unconfirmed reports that blood was found in the woods near Sean's parents' home. Investigators gave up the search three weeks after Katherine went missing, having found no indication of her whereabouts. They are still looking for Courtland's cellular phone, which was in Sean's car. It's black, with a light purple strip around the display window. A photo of a similar phone is posted with this case summary. Sean's attorney filed a motion to dismiss the kidnapping charge, arguing that because he was Katherine's father he could not legally kidnap her; the law states a "natural or adoptive parent" cannot be guilty of kidnapping. 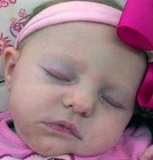 The prosecution argued that because the DNA testing had not been completed, and because Sean had repeatedly denied paternity to his parents, friends and coworkers, he was not Katherine's "natural parent" at the time of her abduction. The judge sided with the defense and the prosecution reduced the charges against Sean to false imprisonment and parental kidnapping. In April 2012, he was convicted of false imprisonment and later was sentenced to ten to fifteen years in prison. A kidnapping conviction could have resulted in a life sentence. Following Sean's sentencing, police said they were treating Katherine's disappearance as a homicide. Sean allegedly wrote a letter to Courtland that was leaked to the media in September 2012; the letter said he had accidentally killed their child when he angrily pulled her car seat out of his car, not realizing she was still in it. Sean wrote that Katherine was thrown from the car seat and died, and that he held her body for a long time and cried before leaving her "in a peaceful place." In October 2013, he was charged with her murder. The charge was dismissed for lack of evidence the following year, but reinstated on appeal. The trial judge dismissed the first-degree murder charge against Sean, but left the jury to consider lesser charges of second-degree murder and manslaughter. His defense argued that Katherine's death was an accident and a case of involuntary manslaughter at the very worst, but Sean was convicted of second-degree murder in October 2016 and sentenced to 19 to 45 years in prison, to run concurrently with his sentence for false imprisonment. Foul play is suspected in Katherine's disappearance due to the circumstances involved. Updated 6 times since October 12, 2004. Last updated August 26, 2017; details of disappearance updated.